Video game spin-offs are sometimes tricky to get right. 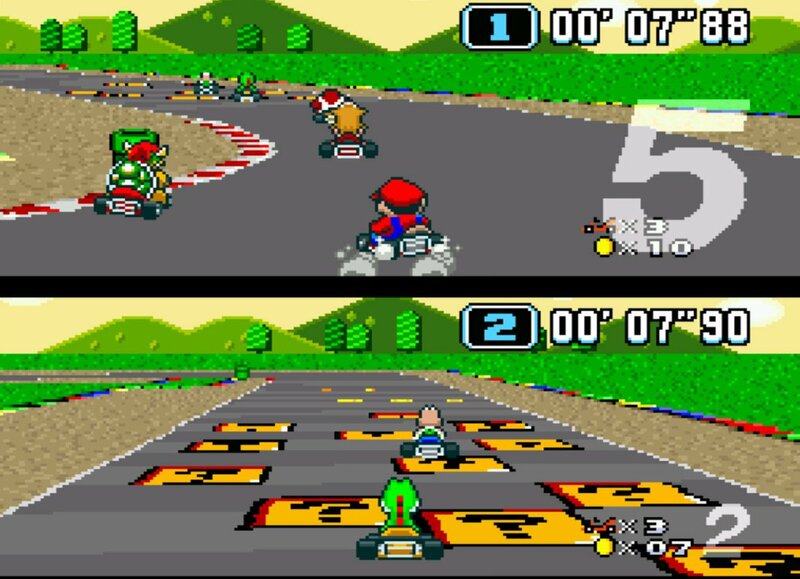 Super Mario Kart was originally a single player fast-paced racing game for the Super Nintendo. It did not include any karts or Super Mario characters. After F-Zero was being developed, the creators decided to make it a 2-player F-Zero-type game, but cutting the screen in half to allow 2-players and have such high speeds was impossible on the Super Nintendo. Since high speeds were such a key characteristic of F-Zero, the creators decided to ditch the idea and try kart racing. Kart racing was a good fit for the compact courses. Another issue was if the characters would wear helmets. If they all wore helmets, all of the characters would look identical from the back. They decided for the characters not to wear helmets, but they needed them to be recognizable from the back. They thought which characters would be recognizable from the back, then the Super Mario characters came to mind. Eight characters were chosen as racers. Having Bowser and Donkey Kong Jr. race against their rivals was a bit concerning. 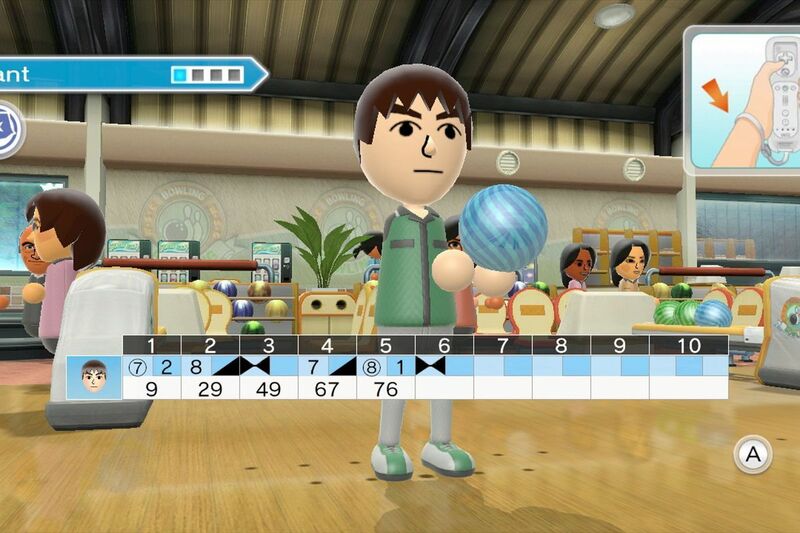 "I had absolutely no objections with enemies characters racing against rivals," said Shigeru Miyamoto. Due to hardware limitations, the creators could not put actual 3D objects in the background, so they chose 5 different ground types: asphalt, dirt, wood, stone, and water. They created differences between them by changing the resistance values. They creators wanted add more items from the Mario universe, so they added collectible coins to the track that would speed up your kart. However, the game's most defining feature is the use of power-ups which would not only enhance the regular aspects of racing such as speed, but also be used to attack your enemy. The potential for huge comebacks were not added by chance. If you are not very good at racing games, you still have a chance to win. The creators adjusted the item chances so that you would get more powerful items the further back you were. Of course if you did not win races, there was also a battle mode to take your frustrations on. The creators wanted to create a competitive battle game similar to the 1983 arcade game Mario Bros where two people battle against each other. The creators had more fun playing battle mode than originally expected, so they decided to keep it in the final version. 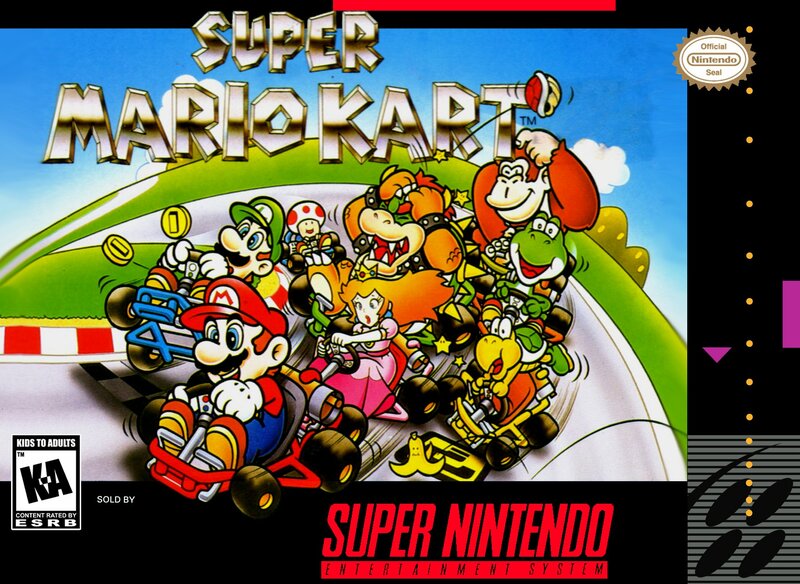 Super Mario Kart was released in 1992 for the Super Nintendo. Electronic Gaming Monthly gave it 9/10, and Super Play offered it a 94%.